Home Anatomy and Body What Side Is Your Heart On? 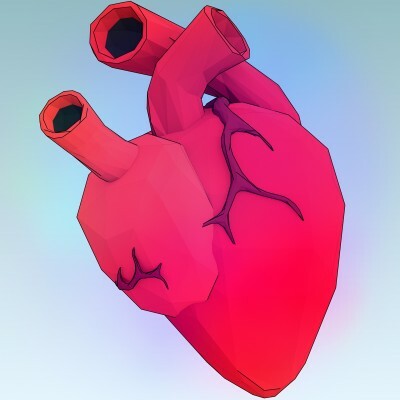 If you’ve ever wondered about the pain in your chest and what could it be, you should know to exclude any heart problems. This is when you have some stabbing pain in your chest, especially when you are physically active and it can worsen when you stop after a long run. It is important to know the right location of the organ in order to even start diagnosing the problem and to link with all the symptoms that may be present. The right heart location is not the left or the right side of the chest. It is located in the mediastinum which is the center of the thorax. Extending from the sternum and to the backbone and also in between the lungs. It consists out of several structures from the heart with pericardium to the trachea, esophagus, thyroid gland, thymus, lymph nodes, blood vessels and nerves. The heart is located behind the sternum and it is slightly tilted to the left where the apex goes to the left part of the chest aiming at the chest wall somewhere at the level of the fifth intervertebral space. It weights about 300 to 350 grams and it is the size approximately as your clenched fist. It pumps around 5 to 6 liters through one minute at the frequency of 60-80 heart beats per minute. It has 4 chambers named left and right atrium with according left and right ventricle. The right atrium receives deoxygenated blood from the vein system of the body and sends it to the right ventricle ant to the lungs. It gets back to the left atrium and the oxygenated blood goes to the system through left ventricle and aorta. Besides knowing the side of your heart, it is important to know some common symptoms which might be characteristic of a certain condition. Here are some of them. Chest Pain. A heart attack is usually expressed through stabbing pain behind the sternum which often radiates toward other parts of the body such as the jaw, shoulder, arm, left hand, stomach, back. It is oftentimes described as a stabbing pain or a pressure sensation behind the bone in the center of the chest. It can be a feeling of squeezing pain which can periodically appear but will often progress into a stronger pain. The course of the disease can be slow and start from a mild pain and develop as the time passes or appear suddenly. Dyspnea. This is often described as a shortness of breath. A person having a heart attack can feel scared and like they will lose their breath and die. It is usually accompanied by tachycardia, cold sweat, anxiety, fatigue. Other symptoms. A person can feel nauseous and even vomit. Some might fall into a cardiac shock with the loss of consciousness. Myocarditis is a condition which is caused by a muscle inflammation. 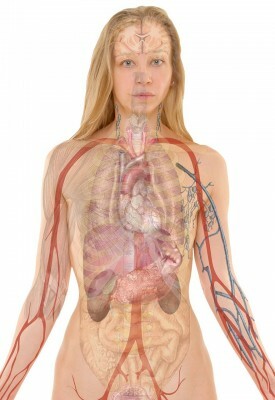 It can feel as a heart attack, but there are no blood vessels clogged, it is the tissue which is affected. There are many causes of this illness, including viruses, medications, bacteria, autoimmune diseases, toxins. It can be presented through fatigue, tachycardia, dyspnea, fever. It can heal but there are many complications which can lead to a heart failure. They are one of the most common illnesses with the need for heart transplants. Pericarditis is an inflammation of the pericardium or the heart sac. It can get inflamed as well where it swells and causes friction between the two layers, resulting in pain. It is usually acute and mild and can even subside on its own, but there are cases where it can be chronical and severe with a need for medications and even surgery. This is a medical term for all the diseases affecting the blood vessels which give the needed nutrients to the heart or the coronary arteries. They can be affected in a way where it can cause stable, unstable angina or the final stage of the disease – a heart attack. It can give the same symptoms as a heart attack, where the stable angina will cause pain only when it needs more heart pumping like in physical activity, stress, emotions and the unstable one will be unpredictable and will have the same symptoms like a heart attack, only without the necrosis part, where it can be diagnosed with an ECG. The mitral valve is the valve located between your left atrium and ventricle. It causes improper closing in the time of a heart action, where it can lead to a mitral valve regurgitation which is a condition where the blood gets back into the left atrium from the ventricle at the time of a heart systole. It depends on the degree of the condition, but it can be a life-threatening disease which requires a surgery and other medical treatments. It can cause dyspnea, chest pain, palpitations, dizziness. This is a rare condition which causes the tear of the coronary artery. It can lead to fatal consequences and can develop suddenly. The blood usually goes between the torn layers of the blood vessel walls leading to blood leakage. The symptoms are similar to those of heart attack, but this appears as stabbing, excruciating pain which comes out of nowhere and it radiates towards the back most commonly, as well as in the abdomen and the neck. It is important to know that almost always, a pain that is felt on the right side of the chest has nothing to do with the heart or any heart problems. It is rare that you experience a pain in the right side of the chest even if you’re having a heart attack since it usually doesn’t radiate towards the right side of the chest. If the pain is associated with deep breathing, the chances are you are having some problems with pleura, due to an inflammation or even pneumonia. It could be pleuritis where it gets worse during inhalation. Even a trauma can cause the pain on the right side. It is important to note that none of the chest pain should be ignored and every symptom that you have can be useful for the doctor to get the right diagnosis. If you are having pain or other issues, you should contact your doctor for a proper treatment. Next articleWhat Does a Hernia Feel Like?